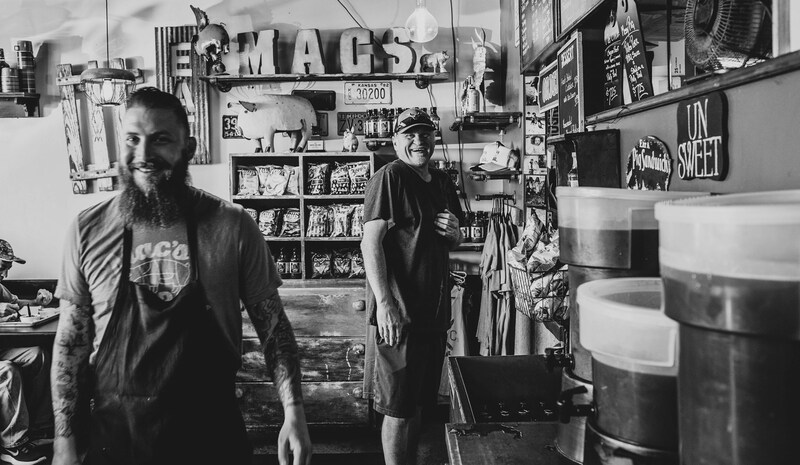 Mac’s was started in 1985 by Mike McMillan in Skiatook, Oklahoma. He quickly grew his reputation through local and national competitions winning a variety of awards, including the prestigious American Royal and the Jack Daniels invitational. At Mac’s, we take pride in our barbeque. It is no frills, just premium meats and ingredients cooked the old fashioned way over hickory and pecan wood using our homemade rub. Our award winning sauce is made fresh weekly and is our own recipe. It has become a staple part of the Mac’s tradition and taste.